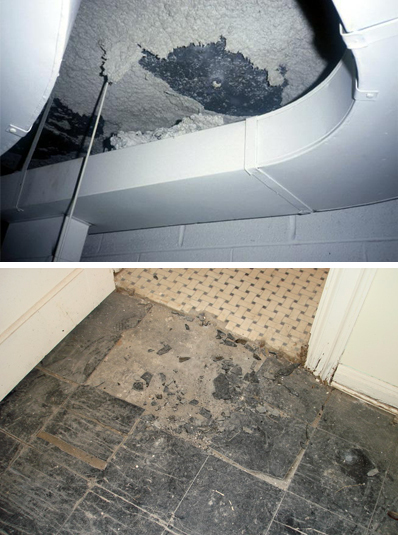 Non-friable ACM include products in which the asbestos fibers are locked or bound into a non-asbestos matrix such as cement, vinyl, or paint. These materials are less dangerous than friable ACM since minor disturbance usually does not result in fiber release. However, these materials should be considered “potentially” friable since any activity such as cutting, drilling into, sanding, etc., non-friable ACM could cause them to become friable.